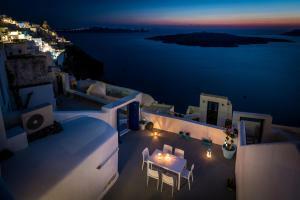 Fira White Residence, overlooking the Aegean Sea, the caldera and the volcano, is an establishment with a traditional architectural style located in the center of the town of Fira. This villa has elegant décor with stone walls and beamed ceilings. 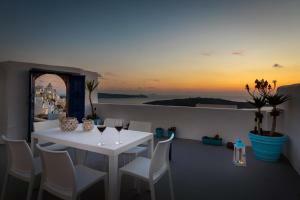 It has an indoor hot tub and views of the Aegean Sea, the caldera and the volcano. 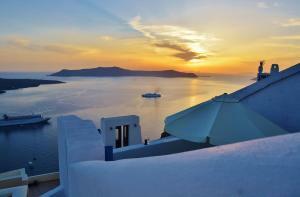 The maximum temperature of the hot tub is 35 ° C.